Agra Fort :- Agra Fort in Agra is a UNESCO World Heritage site was built by Mughal Empire Akbar. 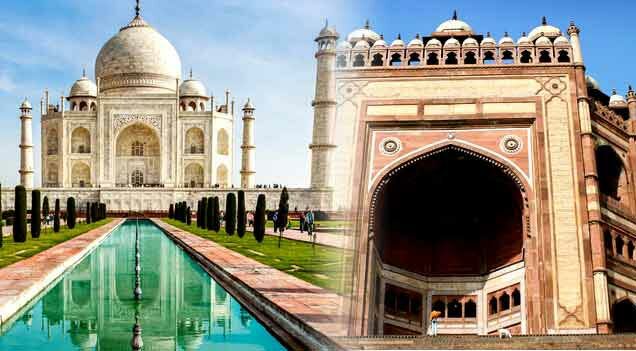 It is located nearly 2 km from Historic Taj Mahal. The fort built by splendid red stone so it is also known as Lal Qila. The fort contains many palaces built by both red and white marble. Some palaces were built with traditional Gujarati and Bengali designs is a major tourist destiny of India. 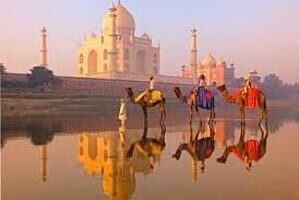 Taj Mahal :- Taj Mahal is ne of the Seven Wonders of the World built by Saha Jahan for his beloved wife Mamtaz Mahal. Taj displays its different moods throughout the day through its varied shades, pinkish in the morning, milky white in the evening, golden when the moon shines. The tomb represents the house of the queen paradise and it is based on the palace garden of the great nobles on the both sides of river Yamuna in Agra. The Taj made up with white marble is a great attraction of India and is considered as a symbol of love. Sikandra :- Sikandra the Mausoleum of Mughal Emperor Akbar, is located in the city of Agra. The Monument was started by the Emperor himself. A visit to Sikandra opens before the tourists a complete lifestyle and personality of Empire Akbar including the arts, literature, philosophy & science during his period. The Construction of the pyramidal tomb was completed by Akbar’s son Jahangir. Mathura :- Mathura or Brij- Bhoomi is popularly known as the birthplace of Lord Krishna. The place is known as a holy place by Hindus and is one of the most religious place of India. Mathura is situated in 145km from Delhi. The city is known for its many temples dedicated to Hindu God & Goddesses. Many religious places like Vrindavan, Govardhan, Kusum Sarovar, Barsana and Nandgaon are surrounded to the holy city Mathura. 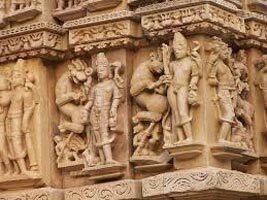 Dwarkadesh temple of Mathura with beautiful, ethereal pictures depicting the entire life of Krishna. 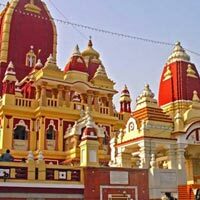 Mathura is a must visit place for Hindu devotees. Delhi - Jaipur - Agra - Mathura (golden Tr.. Destinations Covered : New Delhi, Agra, Varanasi, Chhatarpur, G..